I thought I heard the lions roar. I was in Rome! "Thou art Peter, and upon this rock I will build my church, and the gates of hades shall not prevail against it." 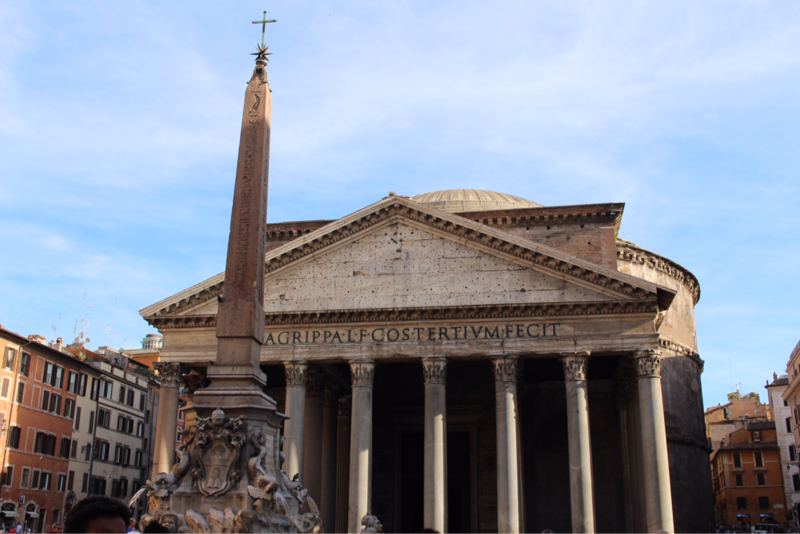 The Pantheon shares a couple of characteristics of old places in Italy. 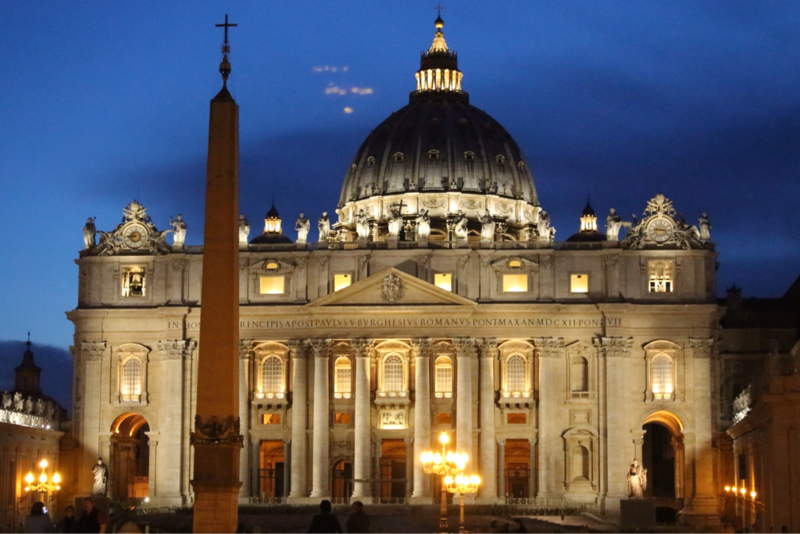 First, it was a place to worship pagan Roman gods, but the new Church, at its most efficient, just converted the premises to a Catholic Church, and voila--no waiting around for 120 years while St Peter's was built. Second, it's right there. You're strolling along eating a gelato, wondering if cappuccino is a good chaser, and there it is, right where people shop, eat, play in the fountain, live. I saw a jogger stop, lean a hand against the wall to stretch out a leg muscle. It's right there, and you just walk in. We took the subway to the Coliseum. An experience to share another time. 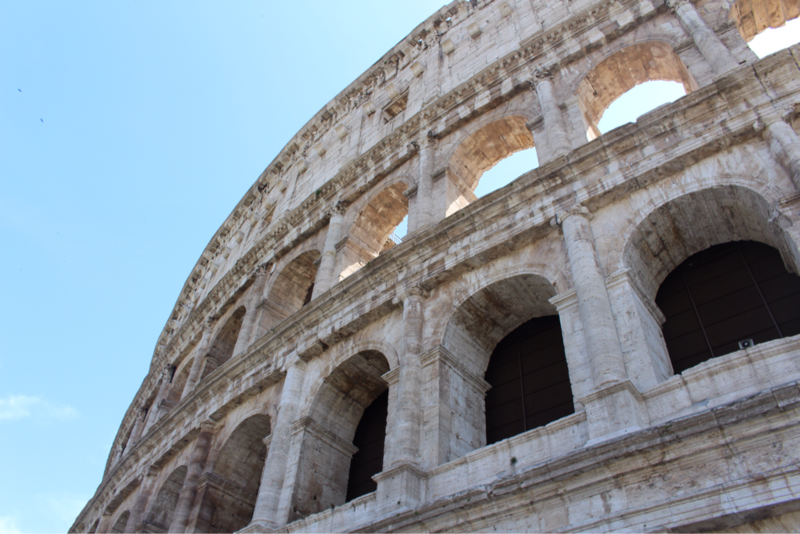 It was especially important to document my visit to the Coliseum, because my 10-year old grandson, Quinton, is a fan of all things gladiator-like, and he knows more about the early days of Rome than I do. So, in a sentence: we walked on the same stones where empires rose and fell, where Caesars walked, and chariots raced and blood was spilled and thousands of spectators stood to watch the Roman games.